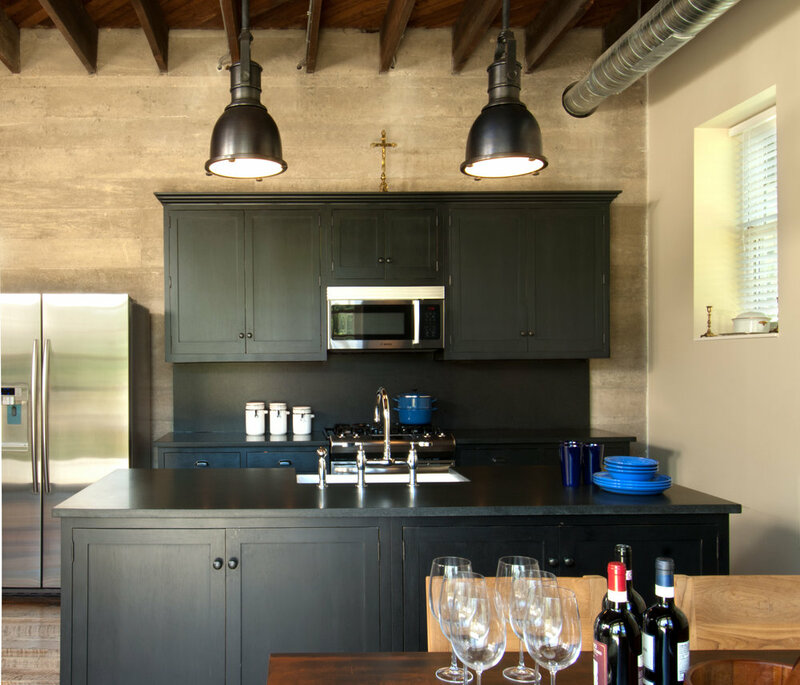 An historic two story concrete and wood framed, turn of the century horse stable has been given a new lease on life as a residence in its conversion to a three bedroom residence. Program: Accommodate three bedrooms and shared living space within the existing structure while preserving and celebrating the original building fabric. Refurbish adjacent storage building. Maximize views and connections to the bucolic meadow located to the south. Solutions: Limit alterations to the exterior to preserve the original appearance of the building while addressing functional needs. Careful restoration of exterior concrete walls, slate roofs, wood doors and trim maintain the historic integrity of the building. 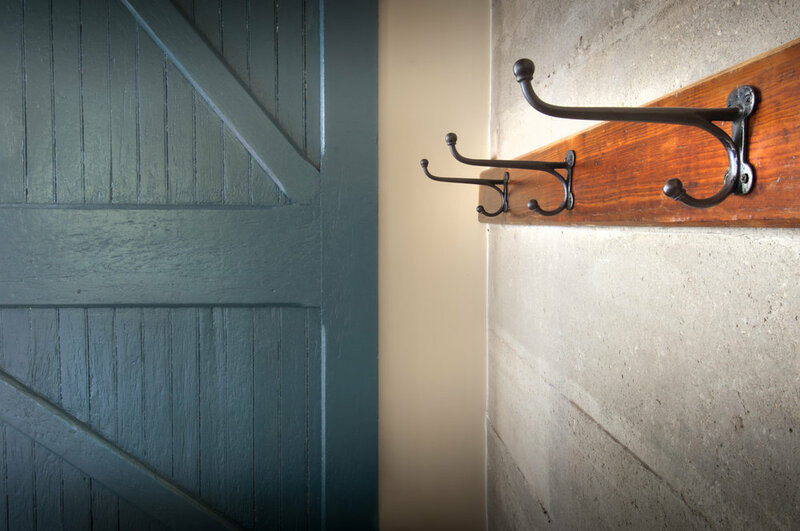 Doors and door hardware, stairs, trim and details such as the original horse bridle wall brackets are also preserved and integrated into the interior design. Bedrooms and bathrooms on the second floor are arranged in a manner which allows each bedroom to have natural cross ventilation & multiple views to the site. Additional improvements included a new terrace that extended the living space into the beautiful site and the refurbishment of an adjacent storage outbuilding.